Similar to a liquid makeup remover, but with extra hydrating and soothing properties. I wasn't sure what micellar water was, so I looked it up. 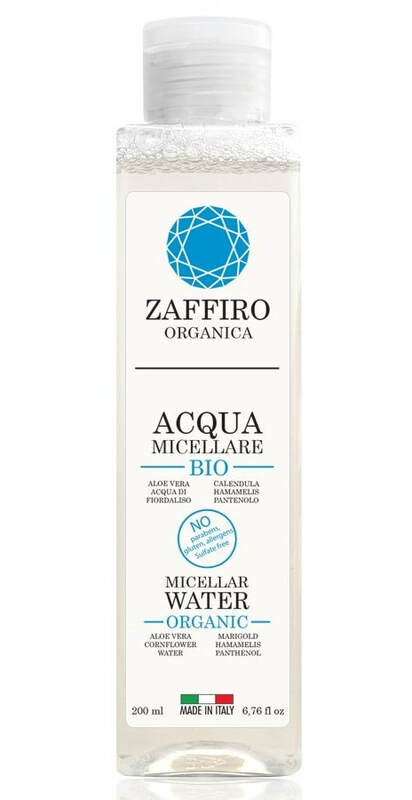 Essentially it's purified water with tiny particles of oil (micelles) in suspension, which are capable of penetrating into the pores and dissolving impurities and makeup. This product even broke down waterproof mascara and eyeliner, but I was pushing it and it got into my eyes. I prefer to remove waterproof makeup with an oily remover, and then I go over the entire face with this micellar water to cleanse and moisturize at the same time. When used like this, there is no need to rinse, in fact it's not recommended otherwise you miss the calming and toning action of the botanicals in the mix. This product has a soft and light texture, and is kind to even sensitive skin. Make sure you don't overload the cotton pad as a little goes a long way. Ingredients include cornflower water, aloe vera, calendula, hamamelis and panthenol (a form of Vitamin B5). 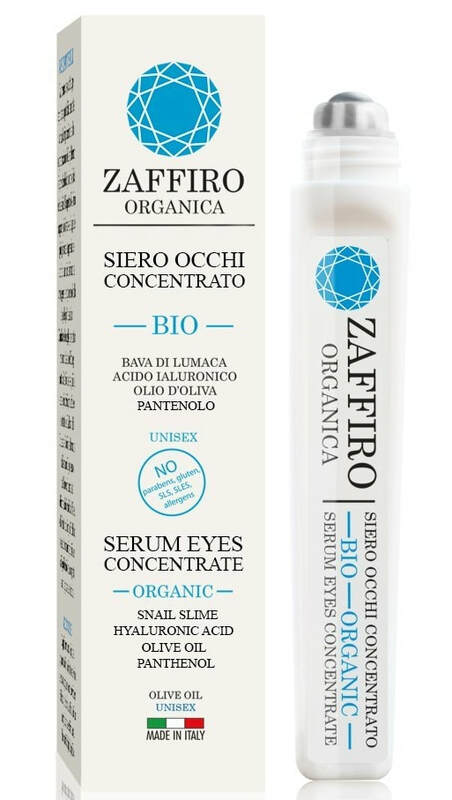 A very pleasant eye contour cream, dispensed from a slim tube with a roll-on metal sphere which provides the added benefit of a cold, relaxing massage. With age, the skin under my eyes has become thinner than it used to be and tends to look darker. I'm always happy to see ingredients that target those age signs. Here the main ones are snail slime (a star ingredient right now), olive oil, hyaluronic acid, and panthenol (a natural, plant-derived form of Vitamin B5). Part of what I love about this brand is the all-natural ingredients, and the absence of noxious ones (no sulphates, parabens, petrolatum, phthalates or artificial colourants). Cruelty-free and not tested on animals. It smells delicious and seems to suit my skin. No irritation or allergic reactions, very hydrating and soothing. It makes my skin look better and is great under makeup. Very good product, easy to use and perfectly suitable for male skin. The progressive improvement takes a couple of weeks to show up. I have been using this conditioner in combination with the shampoo of the same brand. This formula contains olive oil, coconut oil, aloe vera, shea butter, honey and extracts of burdock and hops. My husband has very fine, curly hair, and this conditioner is great for him. It keeps his hair nourished and in good shape, without making it heavy. Natural, botanical ingredients without the noxious ones and, as usual, not tested on animals. I use this shampoo in combination with the conditioner of the same brand. Always on the lookout for botanical products, I love the natural formula without noxious chemical additives (also not tested on animals!) Often natural shampoos do not soap up too well. This one makes a nice amount of foam, especially on a second pass, and it leaves my hair clean but not dry. Lovely fresh scent. The plant-based ingredients include macadamia nut oil, olive oil, aloe vera, keratin and linseed oil.